My niche website is now up and running with some content! As planned and discussed here, I wrote 1 in-depth article targeting my primary keyword of “best survival knife”. I have basically spent the past 10 days researching and learning about my chosen niche and then creating something useful. 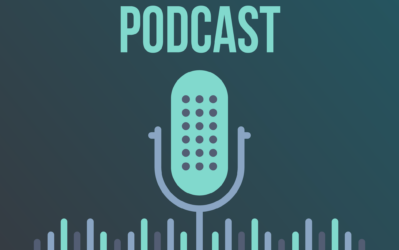 So, in my post today, I want to cover how I've researched the niche, what I have planned for secondary articles, site design, plugins, monetization, and more. How Did I Research My Niche? As I've mentioned previously, I'm not an expert on survival knives (at least I wasn't when I started this process). However, I decided to do a couple of things before I created my new niche site. First, I wanted to see what information was currently ranking in the top 10 of Google for my chosen keyword. Secondly, I wanted to provide a resource that I thought was more valuable than those top 10 sites in Google. I think I've accomplished that. In order to provide something valuable, I had to do some in-depth research (and you will to). So, for the past 10 days I read every article ranking in Google and documented every knife mentioned in an excel spreadsheet. Then I went over to Amazon.com and found dozens more knife makes and models NOT mentioned in any of these articles. I read the companies descriptions of the knives, read reviews, and documented all the stats for each knife (cost, blade length, weight, and more). By collecting all the data and reading reviews, I was able to learn a GREAT deal about knives. I also jumped into several forums and learned how people were using these knives. This got me familiar with the “lingo” of the niche, common questions, and what people are looking for in a knife. In doing all of this, I found out there are TONS of knives and everyone has their own opinion on what the best one is. (This may occur in your niche as well, so be ready for it). Rather, than trying to write an article stating what the absolute best knife was, I decided to provide a interactive matrix/comparison guide that would allow users to research the best product for them. Not only do I think end users will find this very useful, but I didn't see anything quite like it on any of the sites currently ranking in Google. I think I provided something valuable and unique to make me stand out. (That's the idea). Gathering all the information was VERY time consuming! 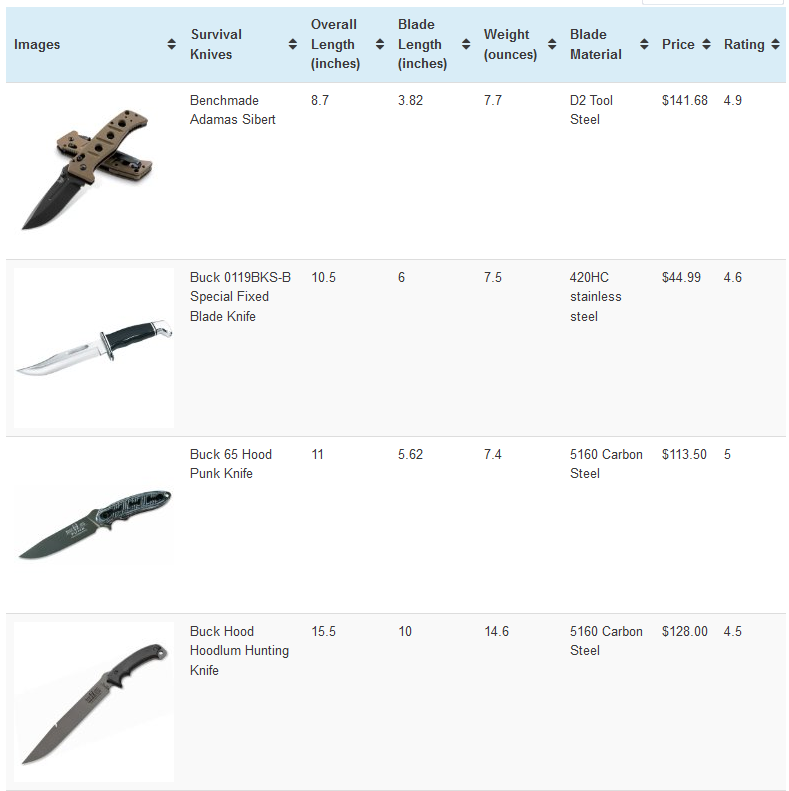 Every knife lists their stats on different websites and in different formats. I had to convert European manufactured knives from mm and kg to inches and ounces. I could find no one spot anywhere that had all the information that I compiled into one spot. I also wrote the primary article myself. Its nearly 2,000 words long (not including the chart) and was the culmination of all the research I did. I think the primary keyword is used about 5 times – which is less than 0.3% of the time. In choosing secondary keywords to target, I will follow a somewhat similar process to choosing a primary keyword. Namely, I will be looking for low competition keywords that I believe I can rank for in Google for most of them. I say “most”, because some articles I may just write if they make sense (even if they aren't low competition) in order to fill out my site with good useful content. So, I've gone over to Long Tail Pro, and typed in seed keywords that I ran across in researching my primary article such as knife names, brands, common topics on forums, and more. I also am willing to accept lower search volume for the secondary keywords. Rather than looking for keywords that get 5,000 exact match local searches, I'm willing to accept keywords that get as little as 200 searches per month, as long as I believe I can rank for it in Google. So, overall my secondary articles will be a mix of low competition keywords with lower search volume and related keywords that may not be as low competition, but just make sense to write about. As you can see from my niche site (best survival knife guide .com), I'm using the Niche Website Theme. (Which is on sale for the next couple days here). I really haven't settled on a color scheme just yet, so it may change quite a bit from what you see right now. So, I'm playing around with different color and layout options right now. In addition, I'm hiring someone to design a logo/header for me. I expect to have the overall look and feel of the site complete in the next week or so. I used TablePress to create the comparison chart on the homepage. Essentially I just gathered all the data and input it on an excel spreadsheet. Then I uploaded the CSV file to my site using the TablePress plugin. Pretty simple. The Niche Website Theme already includes an area to input my Google Analytics ID, social information (twitter, facebook, etc), removal of post date (if I want), Ad management, and more. So, if I wasn't using the theme, I would need to install at least 3 or 4 other plugins. I am using Amazon Associates to monetize the site right now. This is just a good fit for the niche I'm in. As mentioned, I will be adding affiliate links to the knife chart I created. In addition, down the road, I expect to add an email opt-in form and an email series that I can monetize with other affiliate products. However, my focus right now is just getting content up on the site. I have not built any links to the niche site, and don't plan to until I have 10 or so articles on the site. I just feel like I want great content on the site before I start focusing on link building. I'm in no rush. I often get people asking how I get my sites indexed. The answer is that I do nothing. By using WordPress, they have a built in pinging system that sends a ping when I publish anything on my site. This is enough to get a site indexed. So, I did nothing to try and get indexed by Google and I am now indexed by Google. Its a non-issue, so you shouldn't worry about it. My site doesn't rank anywhere for my primary keyword. I expect this to be the case for the next week or so. I may pop up in the hundreds somewhere, but again I'm not worried about rankings at the moment. In a couple of weeks when my core content is published (10 articles or so), then I'll start focusing on link building and rankings. When that time comes, I'll most certainly be keeping you updated here with my plans and progress! UPDATE (not on original post): Feb 26th, 2013 – Ranking 385 in Google! My next steps will involve producing additional content and finishing up the logo/site design. I expect that I will be outsourcing several of the secondary articles; however, I do plan on writing at least of few more of the articles on my own. Once I have the core content of 10 articles, I'll start thinking about link building. I'll also continue to produce content until I have at least 15 to 20 articles before I focus full-time on getting the site ranked in Google. I expect it to be at least a few weeks before I see too much action in terms of link building and perhaps even some movement up in Google. In an ideal situation, I would crack the top 10 of Google in about 2 months. We'll see what happens! Overall, I hope this update has been useful for you as you go out and start working on your own niche sites. I would love to hear your thoughts, questions, or observations in the comments below. You’re really gone very far with this project, I’m really impressed on your results so far. I’m also working on creating a niche site, but I’m still on the keyword research. Will be following along. I just started reading your posts and i love everything you’re doing here too. I’ve already subscribed to your email list so i won’t miss any of your valuable infos. Where i will like to pay more attention to is on your backlinking strategy. You with all the Google animals moving about, one has to be very careful on building backlinks. Kudos for your success Spencer and more strength to your elbows. Glad to know that you’re building your own niche site as well. Keyword research is really important and it’s also the first step so it needs to be done right. I’m doing public niche site case study on my blog as well and have just finished writing an in-depth and practical article (over 3,000 words) about Why 95% marketers FAIL at doing keyword research and how to fix it. I don’t know what situtation you are now but it’s definitely worth a read. I’m sure that you will find something useful. I also listed 4 examples of me using Longtail Pro analyze the competition of the keywods. I don’t want to be biased by self promoting here but i only share if I believe it’s helpful to people. One thing I’d be curious to learn about is if there is an easy way to scrape Amazon to update the knife prices since Amazon’s prices are always changing. I wish someone with programming skills could look into this and educate those of us who are a little less tech-savvy. Stop trying to do things the easy way. This is why 99% fail. Success takes hard work. Lots of it. Tons of it. Probably more than most people are willing or even able to do. It’s not about hard work, rather working hard and smart, not how hard and time you commit. To build an app off the amazon api so you don’t have to manually update the prices is smart. It’s not too hard either. There are already WP plugins that do this (checkout Chris Guthrie’s tool). You might have to modify it to get it to work how you want it to work. Yes, that is definitely possible. 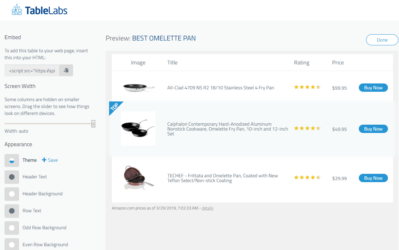 You’d use Amazon’s Product API to pull the data from Amazon’s site directly (no scraping needed), maybe checking once a day for updated price information. Their API documentation is a bit weirdly organized but what you’re describing is a pretty easy use case for it. I am super excited about seeing how things turn out. In the past I have created several sites very similar to yours, and they were usually quite successful. I found that my comparison charts had the highest conversion rates by far. Thanks Bradley…I have high hopes for the comparison chart! Looks great so far! A few things to consider: I don’t see an Amazon affiliate disclosure anywhere. I believe that’s required. Also, affiliate links to Amazon all need to be “nofollow”. Finally, careful with having prices in table once you add links to the products. That’s also not allowed unless you use an API to update the prices. In the past, I’ve used price ranges, dollar symbol ($ – $$$), or a “check for current price” link. They’ve all worked well. I think you have a winner on your hands though. Good luck! Interesting. I have not yet built a website with amazon affiliate links being the primary monetization method but this is good to know for future reference. Does Amazon provide an API? I like the $-$$$ range vs the “check price” as I feel the later often looks like you are just trying to get a click thru. Yes Amazon provides you an API..
Yep, this is all true except for the “nofollow” links. A lot of people recommend using nofollow on affiliate links, but it’s not mandated by Amazon (I can’t find any mention of it in any of their agreements). Cloaking your affiliate links is definitely against their terms though. Ivo – Thanks for the heads up on the pricing! We are all learning here together..me included! I’ve never extensively used Amazon Associates (just on a few small sites with widgets), so I will go in and remove the pricing. I’ll likely steal your idea of using $, $$, $$$, etc…great idea! Long term, maybe I’ll look into the API. 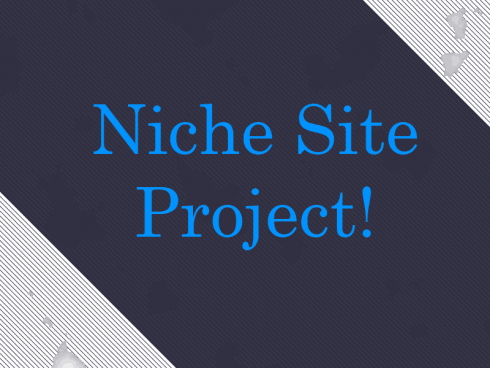 Hey Spencer – loving the niche site project, looking forward to more in the future. Thought I would jump in and offer my two cents (same boat as you in that my amazon associates experience is limited to a couple of small sites – in my case highly neglected ones – so take it all with a grain of salt). 2) that said, my instinct would be that the way you have pricing currently is better since people would be more inclined to click through to amazon to get exact pricing (just a guess since i have little experience with amazon like i said before, but definitely worth testing down the road – unless anyone has already done the testing and can offer some insight?). To me this says link cloaking is kosher if done carefully (you already have the proper disclosures and you don’t seem the type to do anything questionable like mentioned above). of course this is all assuming you even have any interest in cloaking to begin with since you weren’t the one to bring it up in the first place… anyway, I have personally done this on my own sites without any problems. I can forward the full email if you are interested in more info. 5) lastly, a quick suggestion – maybe i am just paranoid and this is entirely unnecessary but with all the attention i imagine this site will be getting you might want to consider some sort of security plugin as well. something like simple login lockdown (https://wordpress.org/extend/plugins/simple-login-lockdown/) or login security solution (https://wordpress.org/extend/plugins/login-security-solution/) – never used either (i have used login lockdown which sounds more like simple login lockdown. problem is it hasn’t been updated since ’09 according to wp.org so i can’t really recommend it despite it working well). the latter seems a little more thorough and ‘slows down response times’ instead of locking you out completely which is probably better in this specific case. it also has a list of alternatives in the description so you can take a look at some other options yourself if interested. well… i think i have written too much so i will stop here. thanks for another great update. i’m already looking forward to the next. Great points here. I may look into that api plugin. Thanks for the super thoughtful comment! A lot of dedication and immense hard work here Spencer. 2. I switched from All In One to Yoast. Why do you prefer AIO? 3. Anything less than 35 pages is a mini-site in my opinion. Google sneezes, you get blown away! Why not go for the 100 posts straight off the bat. If LTP has ‘verified’ this niche and its competitiveness, and you have faith in LTP’s abilities, why do you need to re-test by holding at 20 posts?? Regarding question one. I think it is time well spent. Yes it took him 10 days but he ended up with the most comprehensive table/list of knives available on the net. I think Google will be happy with his efforts. Plus, this is the backbone of his website. He won’t be spending 10 days on every article. Difficult to scale, yes, worht the time, i think so. One could argue research is a part of it but has he used the knives really? Does he know which come dull and which build quality and send it every time. Maybe with some of the research but buy ordering, owning and using the knives he could use youtube and create videos and build true authority. 1. 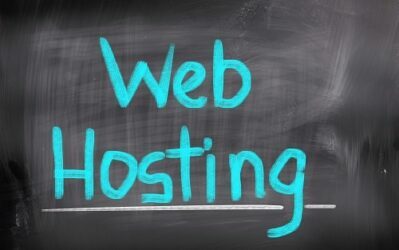 I have hundreds of sites and have a good scalable process. For this site I wanted to do everything myself because its public and I want it top notch. I could have outsourced the chart creation to a VA to gather and input the data. This was the most time consuming. Then I could have hired a good author to look at the data I gathered to write a great article. All of it is scalable, but I did it myself to learn about the niche and make sure its done right. 3. It may end up 100 pages; but for any business its good to “test the waters” before you invest significant amounts of capital. Good work so far spencer! Just wondered about a couple of plugins, will you use a site map plugin? And what about a plugin to speed up site load time? Spencer this is just awesome. I am really enjoying how much effort you putting forth to create value for the reader. It also helps when you talk about how you intend to rank and the time line. I sometimes get started with a website idea and now fully realize that I don’t really put enough effort to create a great experience for the user. I purchased niche website theme and already have put it to work. I can’t wait to see your backlinking strategy once your content is complete. but love your idea of offering something valuable for the visitor, just not for the ads.. thats what I am believing myself. I can’t wait to see how this comes together. I finally ranked for something naturally on my authority site and the difference was night and day. To do that deliberately time and again with a great process would be ideal. I just have never been willing to do the article spinning, back link, etc., game. I’m digging everything I’m reading about LTP too. I’m starting to lose my love for MS.
Appreciating all the updates – this is great stuff! For no reason other than that it would add another interesting dimension to all you are sharing – adding a time component for those who want to see what it really takes etc. Probably 15 hours? Most of this could have been outsourced, but I chose to do it myself this time. wow, what a great piece of information you have provided for us here. Really, what you are doing is a great way to earn money as well as helping others in doing so. Tons of thanks to you dear. 1) Disable comment on niche sites by using “Disable Comment” plugin. 2) Using Akismet + Growmap Anti Spambot Plugin will help you block 99% of spam comments. Thank you Spencer for such a great article. PS: I’d love to contributing an guest post about my secret method to identify exactly whether we ‘ve chosen the right keyword which can be ranked quickly and easily. This piece of information is not published on your blog and virtually anywhere. Are u interested? Do you plan to reveal your backlink strategy, I guess you have it in mind already, or maybe just the main points of it ? Yes, I will be revealing my backlink strategy in depth. As a niche noob with one whole site up and running, I look forward to following your progress. FYI I’ve never been able to rank a site if I have lots of amazon links up in the first few weeks. So it will be interesting to see if you’ll be able to rank this site with so many amazon links up this early. Nice write-up – and it’s impressive to see how much effort you’re putting into this project! I myself recently launched a new authority site so it’ll be interesting to see our two sites grow side-by-side. So far I’ve been lucky – I have had a scraper built that has helped me do my product research. I’m of course just using this content as a basis and building it into useful content but I guess I’m lucky that my niche didn’t need as much manual labor as yours! That said, in many ways that’ where you’re going to be creating value for your market. One question – you’re talking about SEO (which is great of course) but are you also planning other promotional routes to build rapid traffic and also “spread your bets” incase Google changes their policies again soon? Great info as always. If I recall, the niche website theme includes options to enter seo type info for each page/post so was wondering why your including the AIO plugin? What is the rationale behind listing the url sans the hyperlink for your site throughout the privacy page? Two points on previous comments: concerning using All in One SEO vs. WordPress SEO by Yoast – you said you haven’t had problems so why switch? Might I humbly suggest that you give Yoast a shot. I’ve been using it for awhile now and it is far and above 10 times better than AIO. It’s not just a simple meta and title insert plugin – it has so much more functionality. Too much to write here. Which brings up my 2nd point – it has site-mapping built right in so you don’t need a second plugin for that. Hope this helps some. Great start to your site Spencer and Thank You for putting it all out there! I’m always willing to try new things out :). When it comes down to it, I’m ranking sites just fine without the Yoast plugin; but I don’t dispute that it might be better. I wouldn’t say that Yoast “helps rank sites better.” It just gives you a visual and a kind of check-list to make sure all of your seo is in place for each post. I especially like the Google search preview feature – so you can see exactly how your post will look in the search results from right within WordPress. Also, it automatically calculates your keyword density in real time. Helpful to make sure you don’t overuse the keyword in a post. Alright, you sold me :). Sounds like the Yoast plugin has some cool features…I’ll check it out. This is awesome. This will definitely give me a roadmap to follow for my next niche site. Wow, Spencer – that’s really impressive. Not only is it a great example of building a niche site, but I’ve also bookmarked it for reference, to help sort out all the confusing advice out there about buying a survival knife for myself! I really like that you are prepared to spend time researching, writing and building up authority slowly – it’s in total contrast to all the “get ranked in 24 hours” hype marketers, and sets a much more realistic example for people to follow. I’ve got a question, if anyone has an answer: with Table Press, does it upload all the images as well? No, that was one of the time consuming things with the table – had to add the images individually after I uploaded the data. Thanks so much for the kind words Mara! Do you have a rough idea / goal on how much you think the site may make you once you are ranking decently for your keywords. Does what you think you may make from a site go into your planning before building out a site such as this. I used the rank checker in Long Tail Pro to find that rank. I hope you will make a hub of this project, so we will be able to read it again (and again…) easly. I wish you good luck with this project! Hey, Thanks for making this process so transparent. I only just figured at the link building stuff, and finally started to see a difference to my sites. But now reading, what you doing, makes me want to go back and do another site from scratch.. 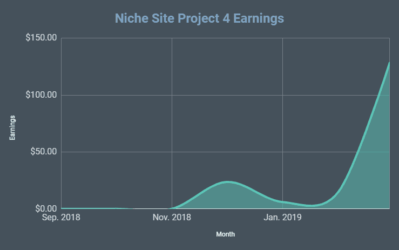 The light bulb moment here in this post for me is “you took 10 days researching and learning about your chosen niche” Wow 10 days that’s something I have never done and probably the reason why most of my niche sites tanked thanks this puts it all back in perspective. Hello Spencer, you are already ranking on page 1 for the term survival knife guide. Hurrah to awesome keyword research. Nice looking site. No doubt the mega content and Amazon descriptions/listings will help with the indexing. It’s been to fun to start a niche site around the same time as you and using the same LTP software. I can’t recommend it enough. Thanks Zac! I really wanted to make this site content heavy and useful. Combined with great keyword research it puts me way ahead of many competitors. I agree. I started a niche website around the same time as both of you. I am also using LTP, so it cool to see how people develop their site. I am totally onboard with you Zach. I love LTP as well. I think this is the first time I have followed along with someone while doing it myself. So far, it has been a blast. Hey Spencer, nice job on the site so far! Again good to go, can’t wait to see link building process. I’m on my new niche which is 1 week old, and the main keyword already ranks #46 without any of page seo. Therefore, my main keyword will rank top 10 if I build up some links back. Keep up Spencer. I know you will cover link building later, but as I’m still keyword researching for this, how much will you be spending on link building? I’m asking as I don’t have much spare cash for buying links so don’t want to get started then not be able to finish the process. Not sure how much I will spend. I’ll do some basic free link building and probably some directory submissions. Then I’ll see where the site is at before I decide on spending link building money. I’ll definitely cover all of this though. If you are on tight budget, I suggest doing link building manually or outsource via Fiverr. There are many high quality Fiverr gigs out there..
@Tung, what type of link building do you suggest on Fiverr? There are so many different options, I myself am looking for pr 4 or pr 3 guest posts related to my niche. Do you prefer this strategy or doing one of those “thousand” back links or something of that nature. I usually use Social Bookmarking gig and link wheel at Fiverr.. This info is 100x better and real than any of the IM products selling for $$$… You are rally too generous here! I see you use images of the knifes, is it always to allow to just use these kind of pictures? I am never sure when I can use pictures or not because I think most of them are copyrighted. While they most likely dont care because you are giving free promotion…. I did a lot of research on this. And I’m not a lawyer, but from what I read – if you are an amazon affiliate, its okay to use images from Amazon. This is what I’ve done. Great question, and for anyone wondering the same thing, I recommend doing your own research. However, Amazon provides widgets with product images, and I’m driving traffic to amazon and the products which I they like. Yeah I did searched also a lot but couldn’t find a good answer. I think it’s more likely they ask you to take it down instead to get a lawyer immediately. Great update and progress so far, Spencer. I just bought your theme and have a niche picked out and after seeing this update, I have a lot to think about – almost back to the drawing board, but in the end it’ll be much better than what I originally had planned. So glad I found Longtail Pro and Longtailclassroom. I have found it to be the best education on SEO. Plus, you are such a nice guy in these posts and on audio! I really appreciate that. Thought: In the “about”, perhaps include a picture of you with a survival knife (between teeth?) for extra credibility. Question: Why does LTPplatinum have a membership attached to it? Why not make it a one-time upgrade from Lite? Glad you are enjoying Long tail pro and classroom! I agree, a nice picture of a knife between my teeth might really put the site over the top! The platinum version has to be a monthly subscription because I pay for multiple APIs everytime someone checks a KC value. That’s the only way I can provide the data. Ah, that makes sense. I appreciate the explanation. Is that API through SEOmoz? 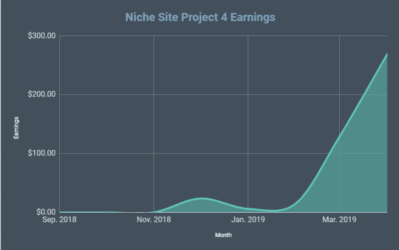 I only managed to read all your posts about the niche site project the other day and have found the information great. I started researching a niche site around the same time as you and managed to get an EMD for a keyword that gets 4400 local searches. It’s incredibly similar to yours in that its a review site of a type of product that is sold by many different companies, with different features and at different prices. Content wise I think I am a bit ahead of you. I have 4 posts and 3 pages of text for the main and related keywords, with a total of about 4000 words now. I have also created one post for each available product at Amazon, and I’m up to 30 of them now, all scheduled to publish over the next 30 days. Do you think it is a good idea to have one post for each product with 250 to 300 words? Also, for adding links and images into the TablePress table, I found that the best way was to create the table in excel first, as it is easier to do the copy and pasting there. 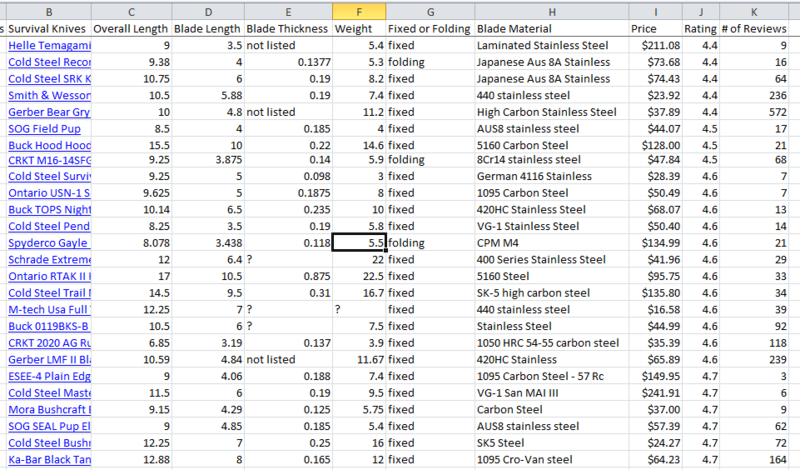 TablePress then has a feature to import a spreadsheet, which I found very useful. Finally I wonder if you could tell what you think of the following situation. I got the EMD and later realized that it was an expired domain, which already has some back links. I used ahrefs to check them and there is no anchor text problem, and it doesn’t look like they are real spammy links. Should I just ignore the fact that there are existing back links or should I consider using the disavow tool? Spencer: You’re at number 45 in Google this morning (28 Feb) for the keyword “best survival knife”. Climbing fast! Thanks for sharing your process with us. He shows up at number 25 on my google search, just now. For a moment there i thought you hit second!!! then i logged out of my google account! Really enjoying this process cant wait to find my keyword and purchase the niche site theme and get going! Yeah, you around 35 according to Serfox and Serpscan and these are very accurate. That’s not a surprise for me tbh, google seems to give some boost to the new sites nowadays. I tried something, same keyword, almost the same article of course they both pass copyscape, I mean like value to the reader and keyword density, and my 20 old domain is ranking #25 when my old 8 years domain is ranking #155. Actually of of the keyword of my new domain are ranking in the first 30-40, one keyword with 1000 is even #3 with just on page seo. So new sites seems to be ranking better these days. Have you made any Knife sales yet? Hi Spencer. Another great article! I think what you are sharing is amazing – I just keep learning more and more. One thing though…the fact that you have all viewing the new site…will that “artificiallly” increase the rankings? Not complaining though – another great article! You have a ton of affiliate links on your homepage Spencer. At least the majority are below the fold but I don’t think google will like that. I have had several sites de-indexed because of amazon affiliate links on the homepage and I only had ten links. After removing the links I did manage to get one site re-indexed but I think you are pushing your luck with over 100. Maybe they will let it slide since you have a chart that can be sorted by knife specs. Yes there are far too many amazon links on the site versus content and other out bound links. Also, I’ve found that if you have lots of amazon links up early (first few weeks) you’ll get hit by google. I doubt the site will ever rank on page 1 for his keywords because of these things…it’s very easy for google to tell it’s an amazon affiliate site. You might be right. I just took down the affiliate links from the homepage. This is my first amazon site, so learning along the way. Congrats Spencer! By the way, what is the total cost to setup the site before ROI kicks in? Well, I’m still spending on articles so I don’t have a total cost figure yet :). But it will be a few hundred dollars probably. Then a bit more for link building. But if it hits my goal of $500/mth, the ROI should be pretty nice. Hi Spencer – I may have missed it somewhere in the discussion, but could you please share the cost of the logo design and where you contracted this? Hi all, here every person is sharing these knowledge, thus it’s fastidious to read this webpage, and I used to pay a visit this blog daily. I ordered the Niche Website Theme and did not get any confirmation email after my payment. I submitted a support ticket and it also did not send me any email. If you still haven’t received a response, let me know. Hey Spencer – Which Plugin did you use for the amazon affiliate links on your chart? Thanks for this amazing step by step case study. Was wondering what you use for on page SEO for individual posts? Do you use a plugin like SEOpressor or something? I’m not sure if you answered this but I didnt see it. What was your posting frequency? I noticed you didnt publish all your posts at once but how often did you post? hey Spencer where did you get your logo designed from? Hi Spenser, I think what you are doing is really good and I am very grateful for you sharing it all publicly. I am trying to create my first niche site and have created a table like yours on my site comparing the different items in my niche. I don’t know what copyrighted materials I have used, but think it could be the images in the table, did you get anything like this when applying? No, but I applied to Amazon like 5 years ago with a different website. Perhaps just apply with a different website, or remove the images. How do you get the amazon links into your tablepress? i just learned about your niche site project and think its fantastic. Congrats on the result! I don’t have experience with Amazon and have a question. How did you get the images for the products? Is that part of the affiliate program? I’m having a hard time with Amazon approving my site for the associates program. When I fill out the application and they temporarily approve me, should I put their links in the content and pictures so they can see how it looks? I currently have the main page article and 2 other articles on the site. By looking at the dates, I see that you published 1st article on the site on Feb 22, 2013. So my question is was your site empty w/o any pages before it was indexed by google? Wow I am very impressed with your work. I am also considering having my own amazon affiliate marketing blog however there are lots of products that I like to promote. I have done a bit of research on amazon the products that I am interested and some products that I have actually owned. However, I am still thinking whether to stick with one product thus having a niche affiliate blog (domain specific to a particular product) or a general domain e.g product reviews. Would you be so kind to give me some advice, which one would provide me a profitable results in the long term? Either could be successful in the long term. It just depends on your execution and overall strategy. Your site seems to be dropped to 2nd page is that penguin 2.1effect? My site has been live for about a month, it ranks #17th in yahoo for the keyword I’m going for, but no where in google or bing. Sound familiar for you? For secondary keywords, I love it if they are below 35 still. Under 30 is best, but up to 35 is okay. careful with having prices in table once you add links to the products. That’s also not allowed unless you use an API to update the prices and what is the total cost to setup the site before ROI kicks in? please help.